Hasbro Studios announced via press release yesterday that a new tribute album featuring music from the Jem and the Holograms animated series will be released this Friday Aug 7, 2015. 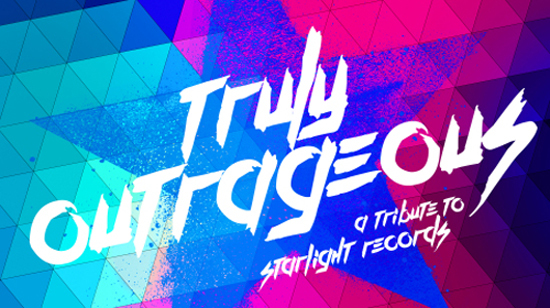 The album will be titled Truly Outrageous: A Tribute To Starlight Records and will be a joint venture with Sony Music/Legacy Recording. 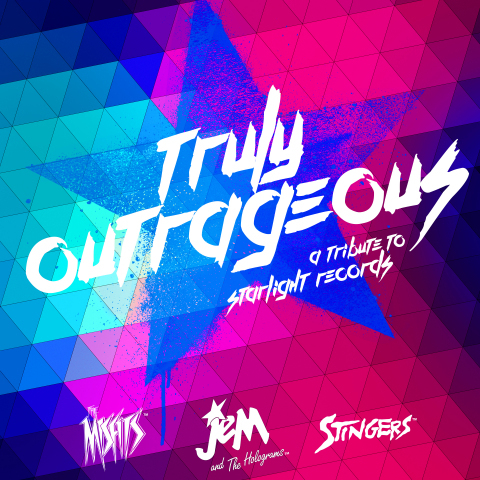 The album will feature modern artists covering 12 tracks originally used by Jem and the Holograms, The Misfits, and the Stingers during the classic TV show's original 65 episode run from 1985-88. This contemporary spin on the classic hits celebrates the music our longtime fans of JEM AND THE HOLOGRAMS came to love through the original Hasbro animated series while millennials will be thrilled to hear new music from their favorite emerging artists," said Hasbro's Chief Content Officer Stephen Davis. "The album serves as a true display of self-expression connected to music, a theme at the heart of JEM AND THE HOLOGRAMS. Preorder the album now on iTunes or Amazon. You can also preview the title track on Amazon or by clicking here.